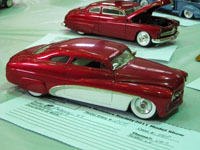 Eric Stone’s photos of our 2011 Model Car Show and Contest held in Spring, Texas, on August 20th. We have two more vendors that will be attending our Model Contest & Show on August 20. They are Bernard Brown and Lynn Davis.